The Reviews for Bangor University online and offline. I recently completed my MSC In Business Studies at Bangor University, and have to say I highly recommend them to anyone looking to study Business related courses. Apart from Bangor University being one of the Top 10 University’s in the UK for Accounting and Finance courses, they also provide outstanding facilities to all of the students enrolled there. I also like the New Design to there website, a nice clean design with fantastic resources available for all students. All I have to do now, is find an Employer who appreciates a well educated member of there finance team, and start my career within the Business Sector. A top University that I really do recommend to everyone who is serious about learning new skills and knowledge. I have been at Bangor University for over 9 months now and it is just brilliant! I couldn’t recommend Bangor enough, everyone is so friendly here and they are always happy to help with accommodation issues as well as course related problems. All the tutors are lovely and will answer any questions you have about the course, my tutor has been giving me extra help, just to get me to the grade i want to get. I would highly recommend Bangor University to any student that wants to learn Business related courses. I have finished my course in Bangor University now and I would highly recommend it to anyone. and really helped me get the grades i needed. Also being from North Wales, it was simple to get home and back with there being bus stops and a train station near by the university. The accommodation in Bangor University was a lot better than expected too, the people were nice and as were the professors. I would highly recommend Bangor University to anyone looking for a good, reasonable, well facilitised and brilliant university. Having been a student at Bangor University for four years I thought I would like to share my experience of what a great university it is and what a great time I had there. I first went to Bangor just after the summer of 2006 and as soon as I got there I was immediately impressed by how good all the facilities of the university were as it offered the students every single thing they could possibly ask for. The teachers were some of the best i have ever had and offered only the best training methods which really helped all of us who were trying to learn the ins and outs of the trade. I did not live on campus but I had a few friends who did and after visiting the accommodation that was provided for them I wished I had moved in there instead of where I was living at the time as the rooms were very large and comfortable and were close to all the lessons. If I could relive my time at Bangor the accommodation would be the only aspect I would change without a doubt as getting the bus to the university was the only downfall each day but apart from that it was simply fantastic. If you end up going to Bangor I am sure you will be more than happy with your choice as I know I was so good luck whatever you choose. Bangor University is a simply fantastic place to study for any student and I spent some of the best years of my life there which I will never forget. From the moment I arrived I was made to feel at home and found nearly all my fellow students to be polite and helpful and we has some top times. The campus is very well put together and offers everything that any student could need such as brilliant recreational facilities and sports areas which are some of the best I have had the chance to use. The tutors were also very good and gave me loads of additional help when I really needed and I will be indebted to them for that all of my life. If you are thinking of choosing a university to go to then look no further as I cannot recommend Bangor University enough to you all. Being a local lad Bangor University was the place I had always planned on going as I have had many friends who have studied there who have absolutely loved the experience. The university has great facilities and is located smack in the middle of town which is always of a great benefit as it cuts the amount of travelling needed to get in and out of the campus. I was involved in a MBA finance course and found it to be better than I had ever expected and after my first two years are now coming to an end I cannot wait to get started on my final year. I had no use for the accommadation that the uni provides as I had my own place but the rooms that my fellow students are provided with are exceptionally good to say the least as they are quite spacious and very clean. The local area is also very good as i know as I live here and I am sure students will love the place as it is quite close to many seaside resorts and also the island of Anglesea which has many attractions also. I have just finished my LLM in business at Bangor University and thought I would briefly share with you my experiences of this University as it may help you decide if or not you should go there. When I first arrived in Bangor I was pleasantly surprised by the location of the University as I had never been to Wales before for any amount of time so was very impressed with the scenery and so forth. The University itself was also fantastic and was very modern indeed and had all the facilities you would expect from a leading University in the United Kingdom. All of my tutors were very friendly and offered me the best education I could have asked for and were always at hand to offer additional help whenever I needed it which to be fair was quite a lot as I really struggled to get to grips with the course for the first year or so. Due to this extra help years two, three and four were much easier in many ways and I found myself excelling in every way as with the help they had given me the previous year this help had built my confidence up so much that I will always be grateful for this. I cannot recommend this University enough and I just hope that you have as good and beneficial time there as I did. Loved my time at Bangor university and am very grateful for the training I was given. Campus is great and Bangor as a whole is not that expensive for accommodation and I easily found work in the town. My course was ace and I really enjoyed the way the lecturers made everything look and sound easy by explaining things like I have never seen before. I found the course very informative and I was well prepared to take my final exams which I passed successfully even though my dissertation was not that strong. Would definitely recommend Bangor university if you want a great eduction from professionals. I attended Bangor University a couple of years back whilst I was studying for my business degree and found it to be a really quiet but entertaining place for the three years I spent there. The University facilities were very good and the campus was really modern and really surprised me when I first arrived. All of my tutors were excellent and gave me a lot of help when I was struggling during year two which probably helped me get where I am today. I loved going down to the Time student night club on the weekend too and had some great laughs in there. I believe it has been knocked down in the last year which is a shame to see it go, had good memories there. The whole three years I spent in Bangor were some of the best of my life and without the University and tutors I would not be in great job I am in now. I have just finished a three year LLB degree in Law with Criminology at Bangor University and I cannot recommend this uni enough as the whole experience was so good and probably the best in my life. The campus itself is very modern and provides all a student could need and is very easy to navigate. I found the tutors were very knowledgeable and very professional and always helped us all as much as they could even in after hours sessions. I learnt so much during this course and it has definitely set me up for a brilliant career in law as the course detailed all of the aspects that can be encountered in many of the positions entailed in law and taught me how to deal with many various situations. I really would recommend Bangor University to any student wanting a top quality educational experience as the students and the staff are friendly and you will be taught to only the best standard. I have recently visited the University in Bangor, and was very impressed with the facilities on offer to students. 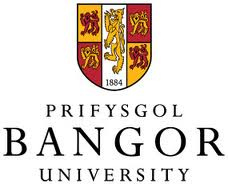 I have been reviewing 3 potential Universities in Wales and England, and can honestly say that Bangor is my most preferred Univeristy to study Business and Finance. After reading the prospectus for the Business course, I learnt that a large percent of the Students that have attended Bangor University have gone on to work in Downing Street London as well as some very large corporate organisations. This along with the High Tech resources on offer to students as well as the success rate, were my reasons in selecting Bangor as my preferred choice. I highly recommend any students looking for a Great University, visit Bangor to see exactly what is on offer.